A short email from David Settle confirmed my reception of KOWB on 1290, a not so unusual catch in Scandinavia. 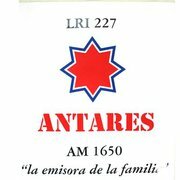 A Short message via Facebook confirmed today my reception of Radio Antares on 1650 on January 31, 2009 during the LEM274 pedition. is the case in this post. listeners and they also mostly reply to listener reports. "Querido amigo, nos place contarlo entre nuestros oyentes. sintonía de nuestra emisora Radio Rebelde. Un abrazo Osana Osoria, Editora"
Ryan Johnston kindly confirmed my report after returning from his vacation: “That certainly sounds like you heard our station .We’ve heard from several DX-ers from Finland and Norway that have listened to us over the past few years. Thanks for checking in, and best of luck in your future listening!”. My question: no hearings of WCAP in Sweden? WCAP Lowell, MA was also heard on 980 last October in Lemmenjoki. Feliz 25 Aniversario. Con motivo de las bodas de plata de Radio Naylamp enviamos nuestras felicitaciones para el dr. Juan José Grández Vargas, gerente general de la emisora. The peruvian station Radio Naylamp is celebrating it’s 25th Anniversary later this year! The station was pretty frequently heard in Scandinavia during the 90’s on a variety of odd frequencies (see HK’s comments below) during good openings towards Peru. R Naylamp is transmitting from Lambayeque in the Lambayeque region in nortwestern Peru. The region is bordered by the Piura Region on the north, the Cajamarca Region on the southeast, the La Libertad Region on the south and the Pacific Ocean on the west. The name Lambayeque is a Spanish derivation of the god Yampellec, said to have been worshipped by the first Lambayeque king, Naylamp. Says Henrik Klemetz: “Dr. Juan José Grández Vargas, an obstetrician, is the general manager of this friendly station which will be celebrating its 25th anniversary on November 7, 2012. See www.radionaylamp.com. 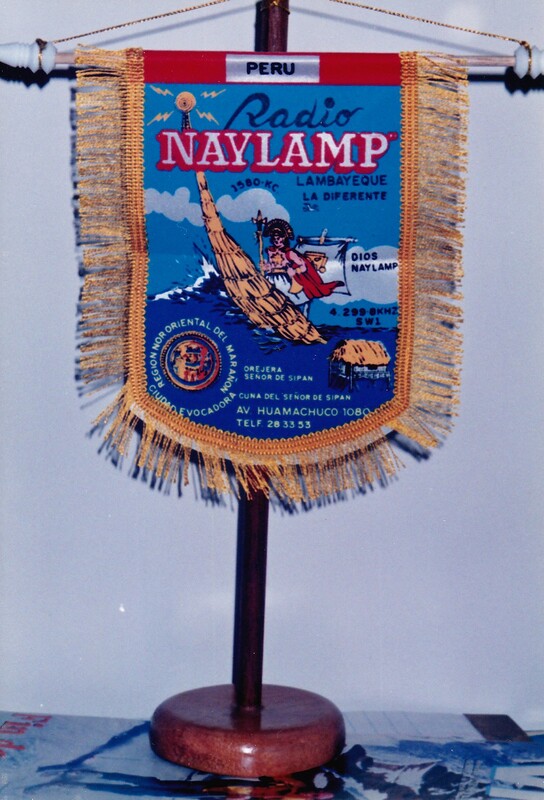 Naylamp (pronounced as “nailán” in Spanish) is a mythological figure, thought to have founded the kingdom of Sicán in the 9th C. He disembarked on the shores of what is now the Peruvian department of Lambayeque. There are many representations of Naylamp and his totora raft (which inspired the Norwegian explorer Thor Heyerdahl to undertake his voyages on the Pacific), one of which can be seen on the splendid station pennant. During the 1990’s the station was heard on 4299v between March 93 and April 94, then on 4549 from November 94 to May 95 . From June 95 to April 96 Radio Naylamp was on 4154v. From July 96 and until March 97 the frequency was 5342v, followed by 5728v (in August 97) and 4398 (in February 99). Thanks HK for these comments. 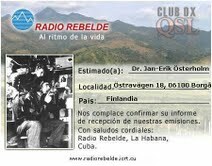 Personally I have four different QSLs from R Naylamp, all written and signed by the stations very listener friendly GM JJ Grández Vargas, who always submitted long and detailed dream QSL-letters. My first encounter with R Naylamp was in August 1991 when I lived in Santa Barbara, California. The station was heard almost every “day” during early night hours in California (local sunset in Perú). The reception in Southern California, with a 60 m longwire was good, peaking just around the Lambayeque local sunset which usually accounted reasonable signals for an hour or less. Below I have included an mp3 audio comprising a minor “personal part” of a live transmission over R Naylamp in August 1991. The original magnetic tape (more than 45 minutes) I received from Juan José in 1991. 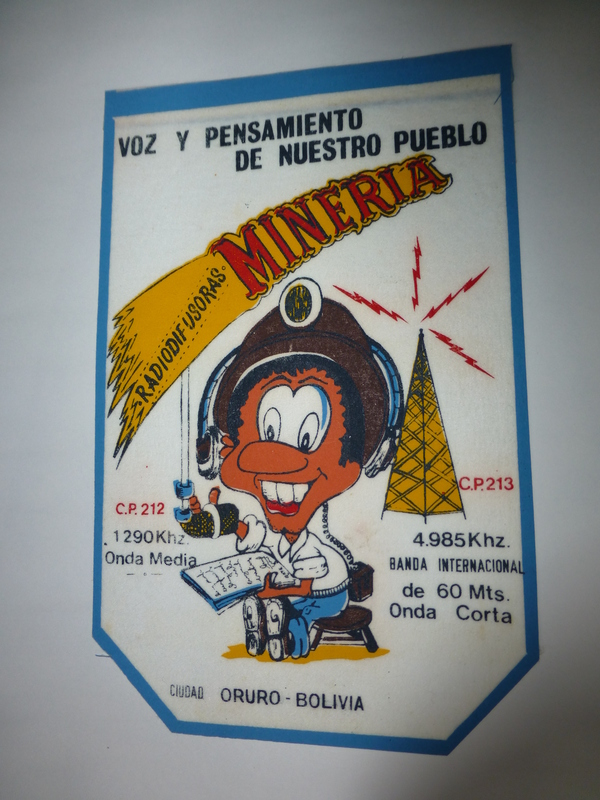 Radio Visión, Chiclayo can be heard every now and then on 4790v in the 60 m.b. One of the last peruvian stations left on shortwaves that used to host hundreds of them some 20 years ago! Times changes indeed. An email was received today from Iglesia Pentecostal La Cosecha confirming my report from April 2012.